The Hyper MT Plus is now ready. The majority of the parts on the Hyper MT Plus are compatible with the Hyper MT so there will be no difficulties finding the parts. The difference between Hyper MT Plus and MT is that the steering system on the MT Plus has been refined for better handling and precision when controlling the truck. 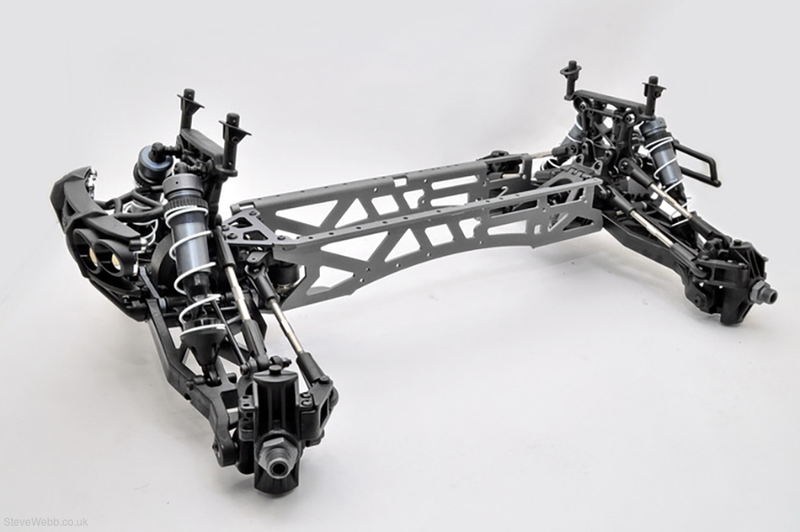 Re-enforcement has been added to the steering system to make it tougher and long lasting. The qualities of the metal and plastic material used throughout the truck have been upgraded to make the truck more robust with much better impact resistance. 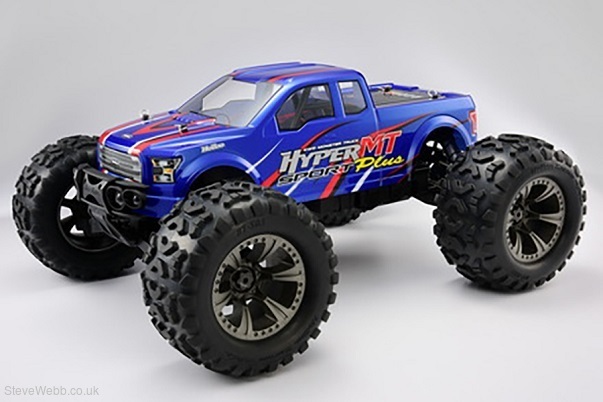 Last but not least, the Hyper MT Plus has an all new fresh appearance with a redesigned truck body and 6-spoke rims to make the truck stand out from the others. 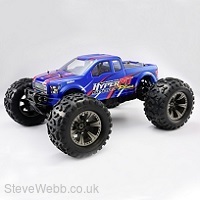 All new design monster wheels and tyres stand tall at 182mm ready to saok up rough bumps, landings and jumps. Big block tyre patterns offers great ground traction whether its a straight path or on twists and turns. Upgraded full aluminium momocoque chassis provides a solid and rigid platform for superior performance than multi-plate chassis.